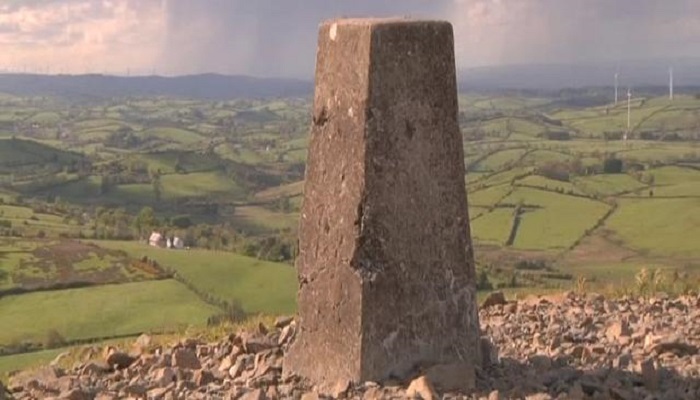 Loughanleagh Mountain is a long ridge of Silurian rock which forms part of a range of hills stretching 5 miles between Tierworker to the South and to Taghart to the North. It encompasses part of six townlands- Bracklin, Cornasaus, Mohercrum, Moyer, Corraweelis and Edenagully. The range forms a watershed between the Drumlin Lake District of East Cavan, drained by the Blackwater and Annalee rivers, and the richer farmlands bordering on County Meath drained by the Glyde and Dee rivers to the Irish sea. The summit of the mountain is 1119 ft (344 m) and this point is evident as the Main Cairn (Moyer Cairn) of the mountain. There are three Cairns on Loughanleagh, all of which are registered and protected by “Duchas”, Ireland’s heritage protection body. The Cairn located at Corraweelis was subjected to damage some years ago, resulting in Duchas representatives visiting the site and erecting a protection notice. These cairns were recognised as burial chambers for tribal chiefs. The word ‘Cairn’ literally means “Heap of Stones”. From the highest point on a clear day when visibility is good you can see up to 14 counties. Easily visible are Slieve Gullion, the Mourne Mountains, Hill of Tara, Loughcrew and the Slieve Blooms eighty miles away towards the south. Two rivers flowing from the mountain are the Blackwater (BO GUAIRE) and the Borora (BO RUA). Both these rivers flow towards the Boyne (BO FHIONN). The fact that these rivers were all named after sacred cows, demonstrate that our ancient farmers found the cow an indispensable and valuable animal, and still the cow continues to be one of our sources of wealth. Bailieborough Creamery (now Lakeland Dairies) still flourishes locally and provides valuable local employment through it’s network of companies. Towards the west we view rolling drumlin country interspersed with lakes well stocked with fish. This is an ancient land with tradition and folklore reaching back thousands of years to the Ages of Stone and Bronze. Cavan, itself in prehistoric times was known as the “Highland of the Gods of Craftsmanship and Artistic Expression”, and Cavan folk today are reviving the skills of their ancestors in their modern industries. Loughanleagh was inhabited during the third century by the “Gaelinga” people an ancient tribal race. 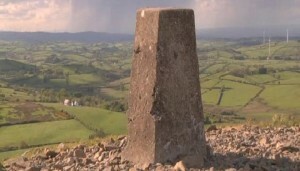 One of the earliest known names for the mountain was Sliabh Gaileng (The Mountains of the Gaelinga). The townland name Moyer dates back to Gailinga times. Bilberry Sunday is a remnant of the ancient festival of “Lughnasa” and still continues on Loughanleagh on the 3rd Sunday of July each year. On Bilberry Sunday local people and visitors still gather on the mountain to pick bilberries, which are abundant on Loughanleagh. In the past, this tradition was widespread across Ireland as part of the Lughnasa festival but very few places continue the tradition now. In times past, an old coach road from Dublin to Derry crossed part of Loughanleagh mountain. That part of the road which crossed the mountain was known as the “Bridle Path” and races were run here in preparation for the Fair of Muff. The Sunday before the Fair of Muff was called “Patron Sunday” and was traditionally a time of celebration before the Fair. The Fair of Muff dates back to 1608 and may have earlier origins. The Fair is still held each year on August 12th and continues to attract large numbers of horse traders and visitors (View our chapter on the Fair of Muff under our “History” tab for more information).